Design Lover's Spanish in Jefferson Park by BEAU CASA! This 3BR/2BA is perfectly sited on a corner lot in Jefferson Park, exquisitely remodeled and ready for its new owner! 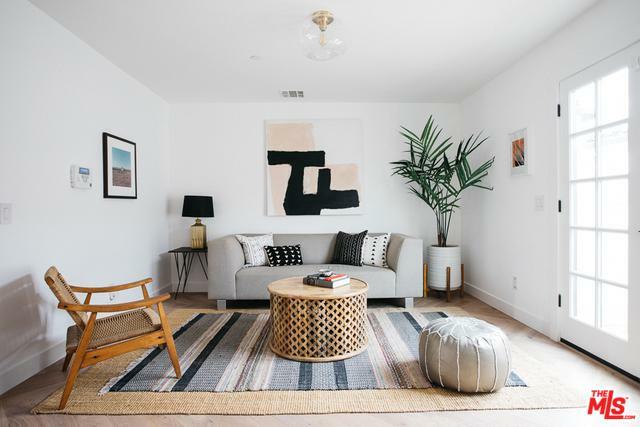 Step into a light + airy main level with open dining + bright kitchen, cozy living room, 1 bed + 1 bath. 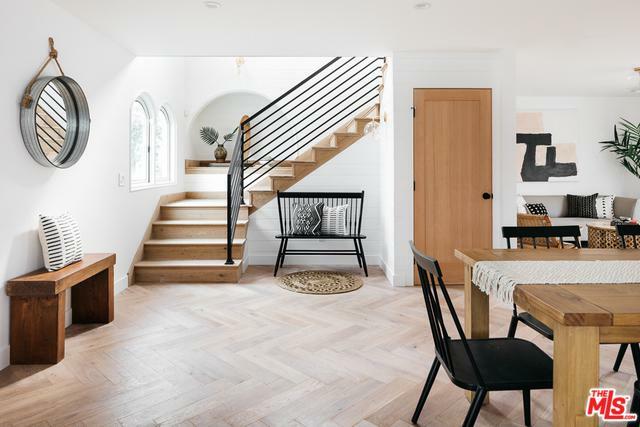 With chevron white oak floors throughout, plus tongue-in-groove siding detail on stairway wall + built-in reading nook, custom kitchen cabinetry w/Caesarstone countertops, floating shelves, ample island + SS appliances + modern lighting, no detail has been spared! 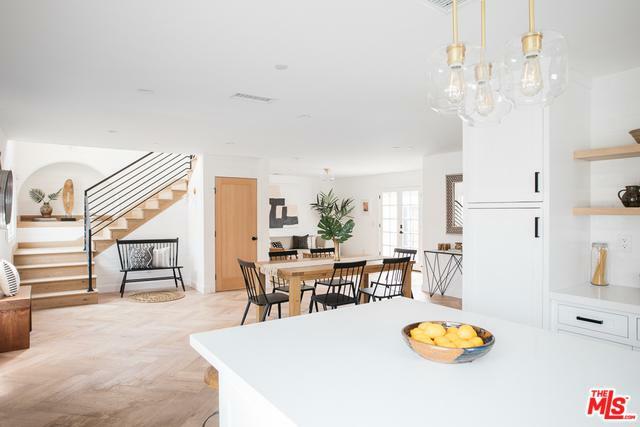 At the top of the stairs, a play area, leading to a large master suite w/ large walk-in closet, en-suite bath, freestanding tub + tastefully curated tiles and chic dual vanity. A second upstairs bedroom offers views all the way to the Hol Sign. 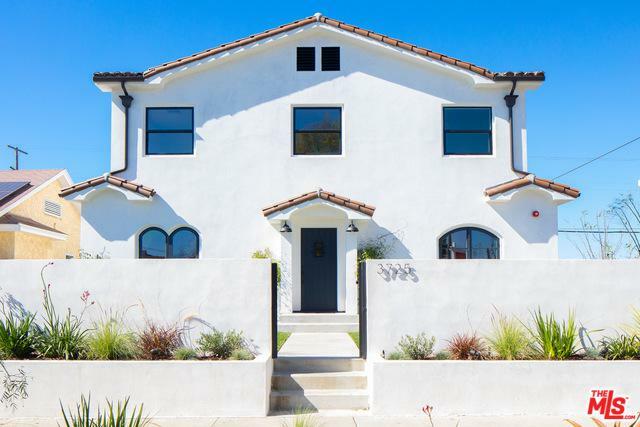 New Spanish tile clay roof, new foundation+framing, smooth stucco+fresh landscaping. New tankless water heater, electrical, HVAC, sewer line and plumbing, fresh landscaping + tandem garage. Listing provided courtesy of Silke Fernald of Acme Real Estate.